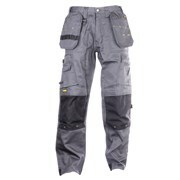 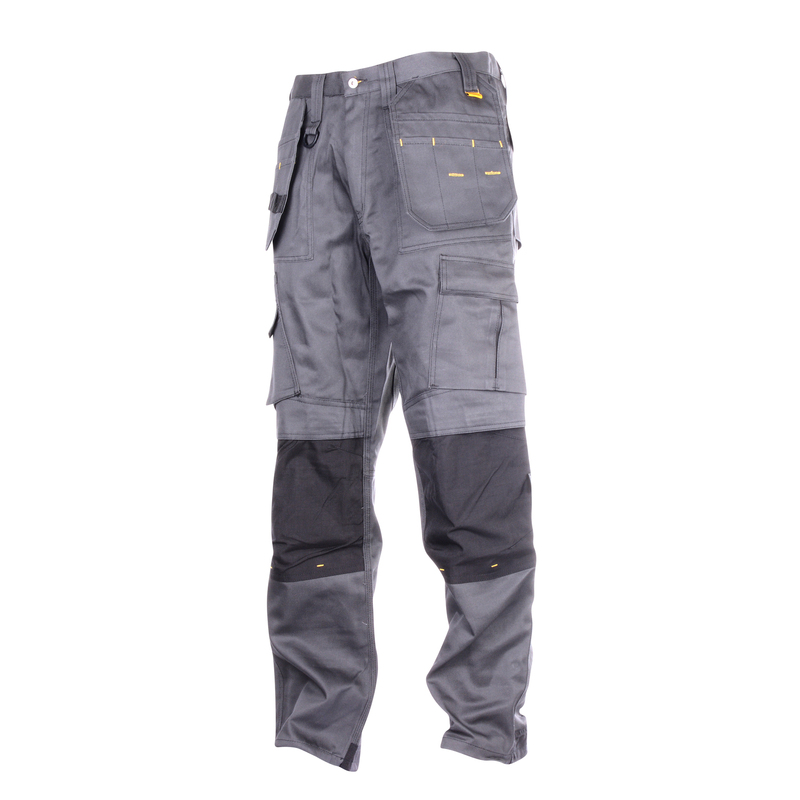 Pro Tradesman Trouser with Holster Pockets (Grey/Black) are a lightweight 260g poly cotton work trouser with feature Cordura holster pockets and knee pad holders. 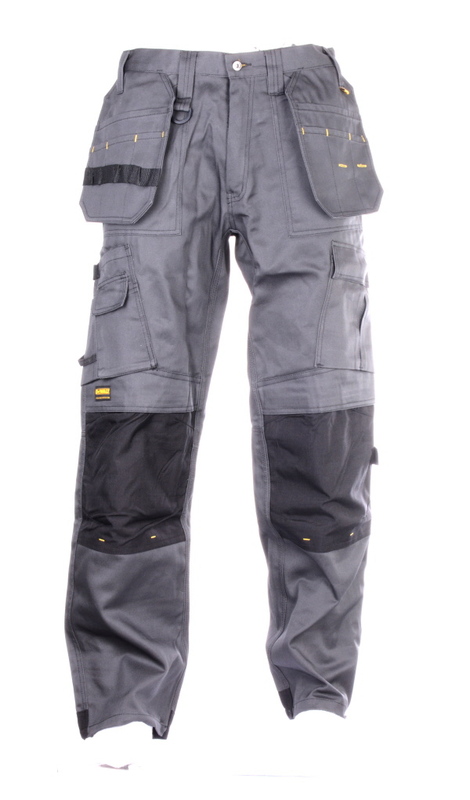 The triple stitch design for strength and durability, offering a long life span for a worker in all industries. 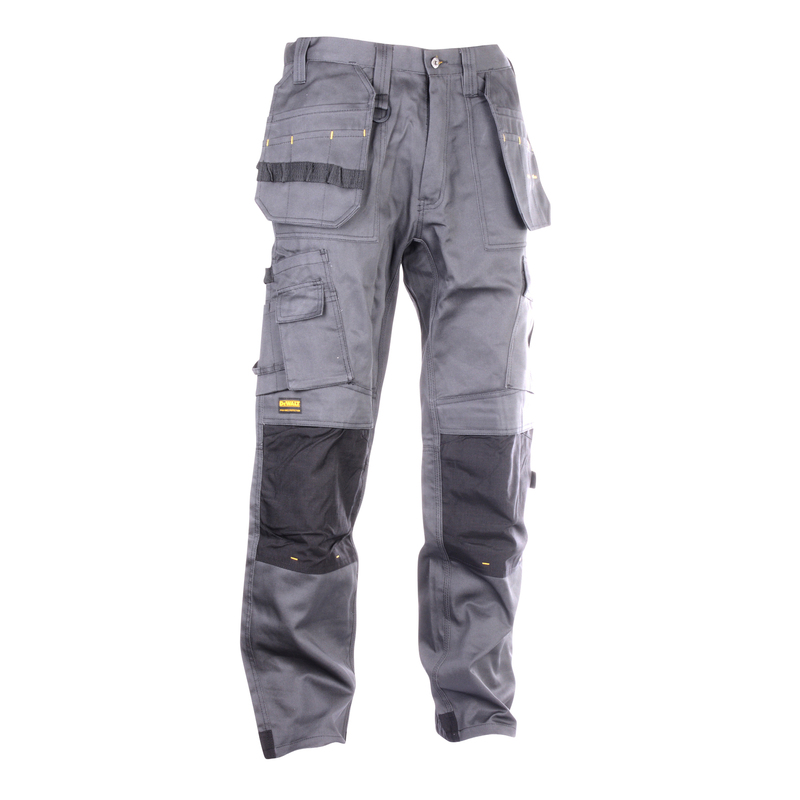 Cordura Reinforced on all key areas with rear pockets one open one closed, hammer loop, Cordura holster pockets, ergonomic combat pockets & top loading knee pockets. 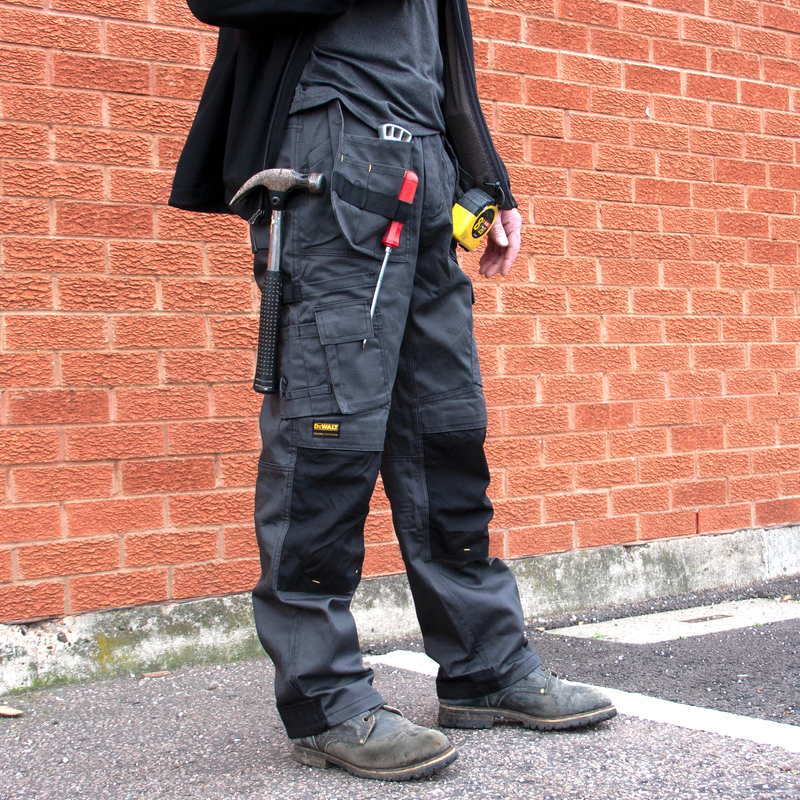 DeWALT Pro Knee protection to keep knee pads in place, Cordura knee pouches, triple needle stitching on inside leg and a low cut waist. 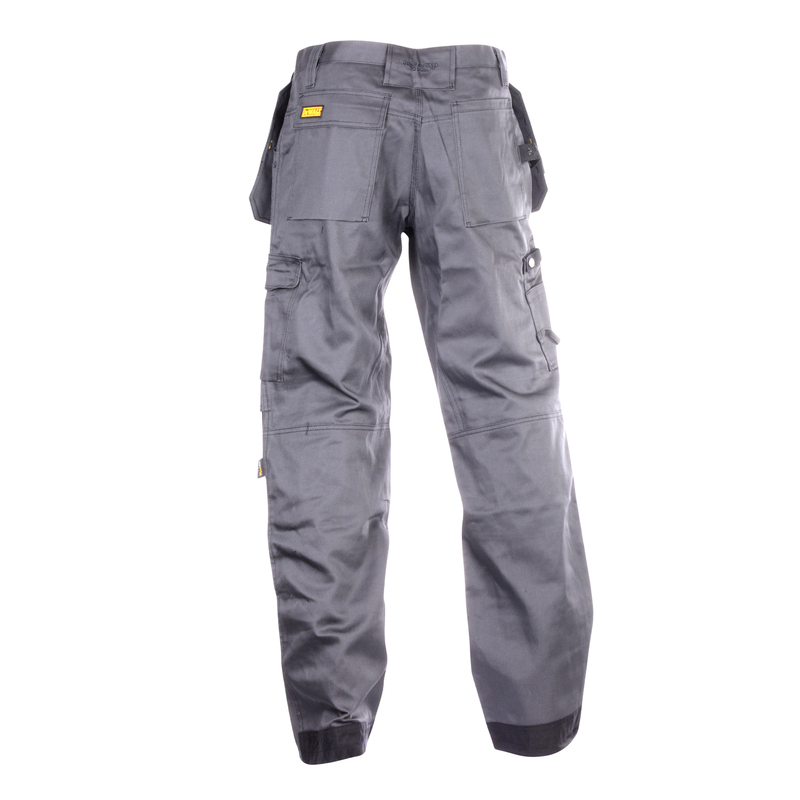 Material: 260 grams, 65% polyester 35% cotton.